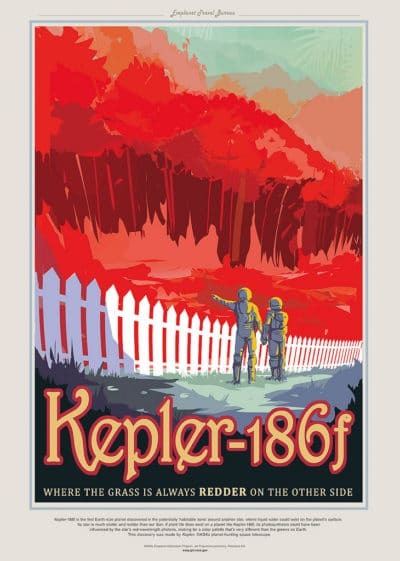 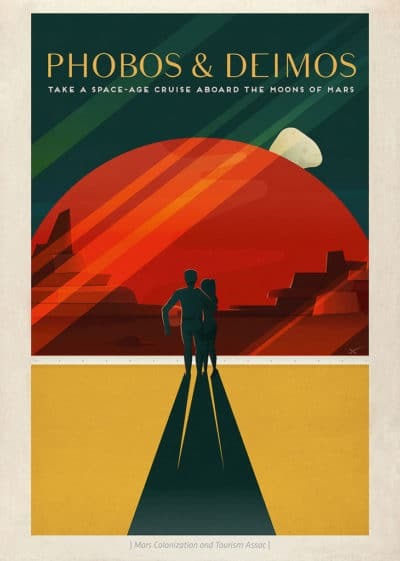 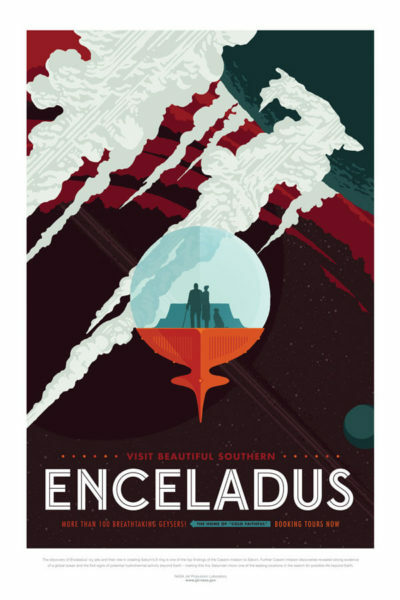 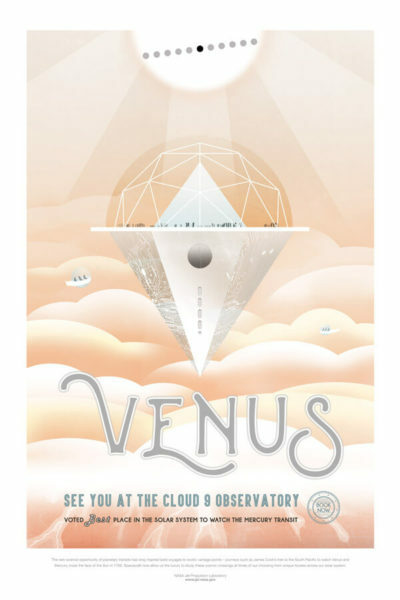 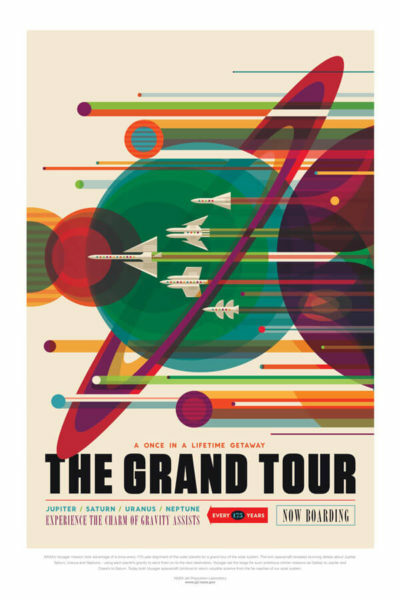 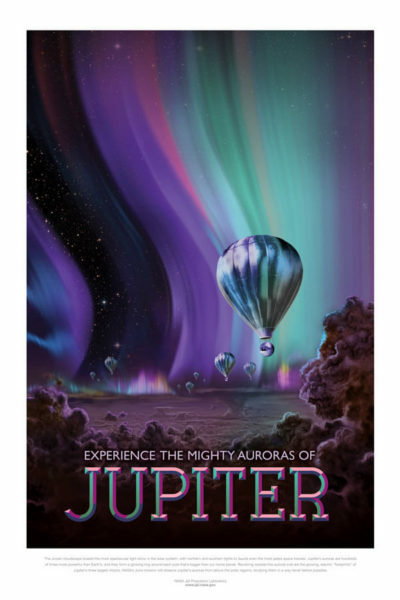 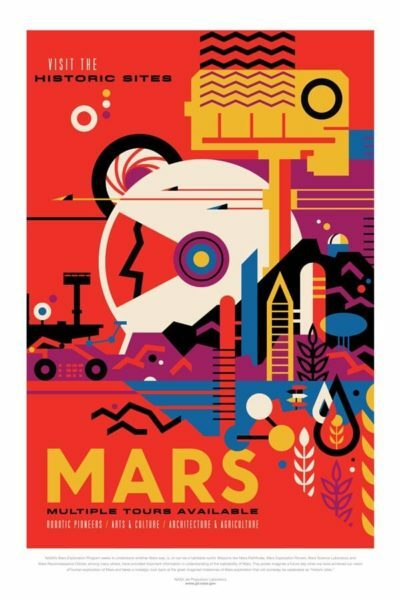 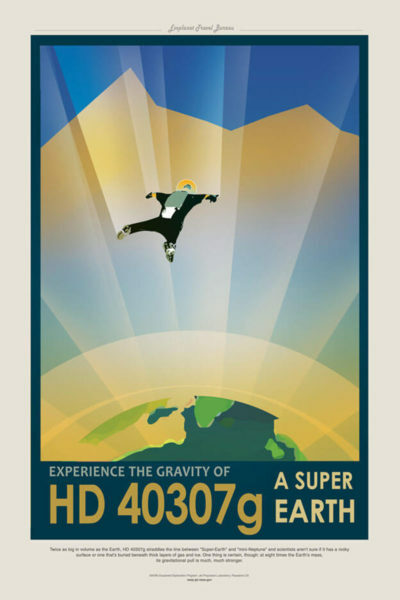 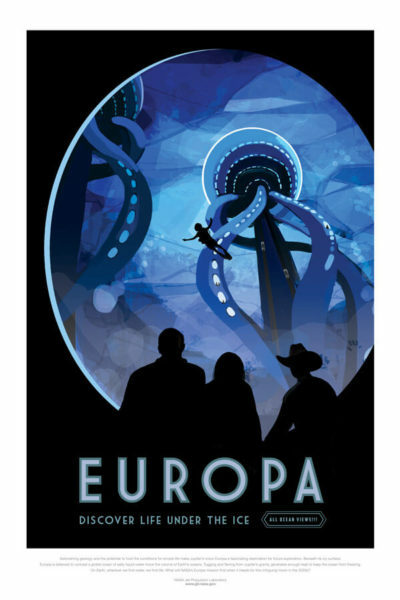 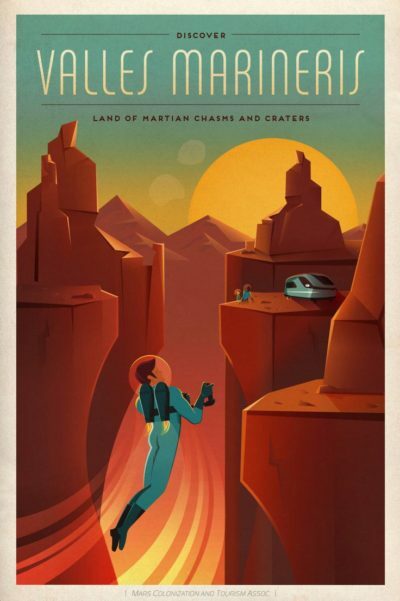 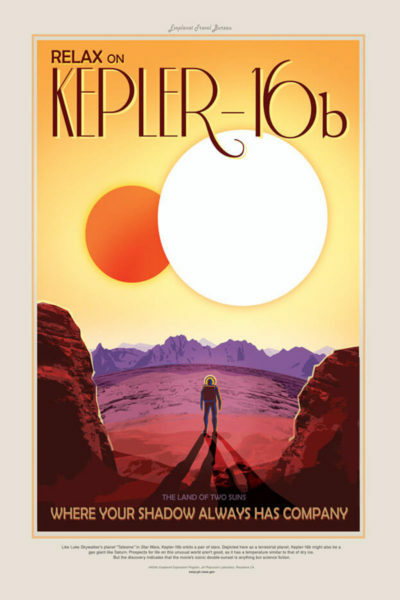 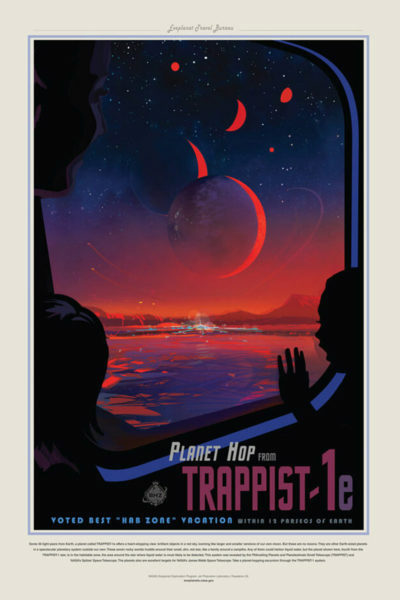 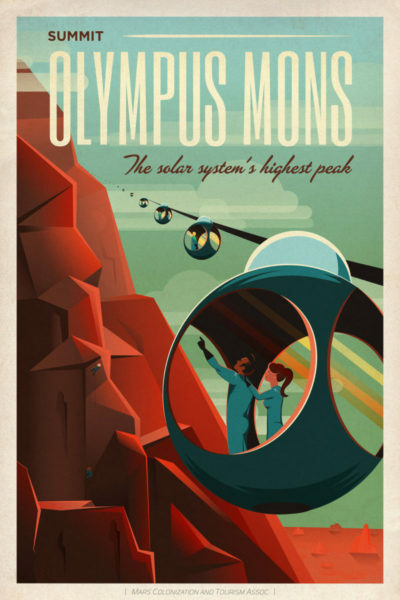 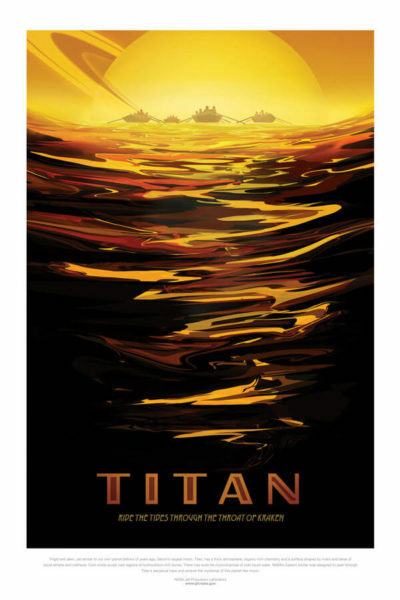 To celebrate the 1000th discovery of the probe Kepler launched in search of exoplanets, NASA produced amazing posters as classic posters of tourism which show the characteristics of these planets, particularly remarkable. 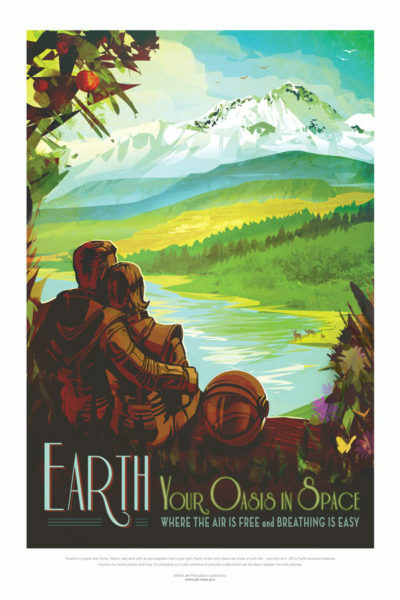 These posters of spatial tourism are realized in the purest style retrofuturist, between science fiction and anticipation. 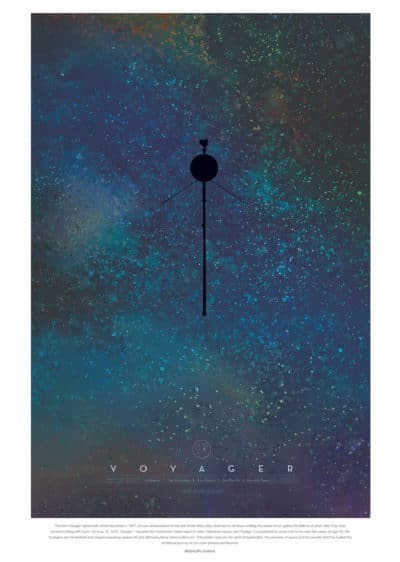 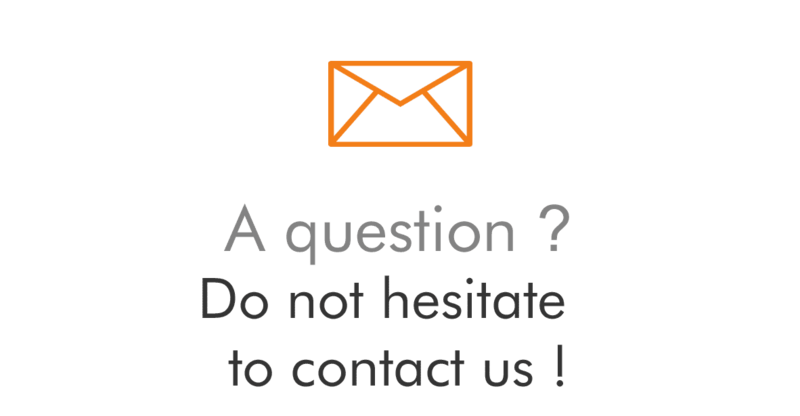 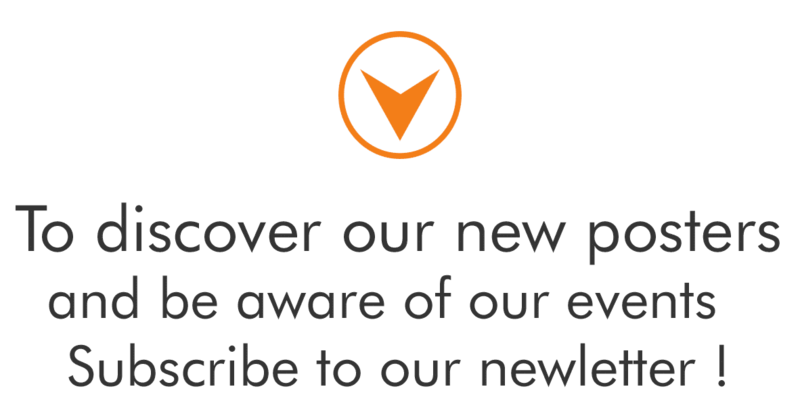 They are invitations for an interstellar journey.